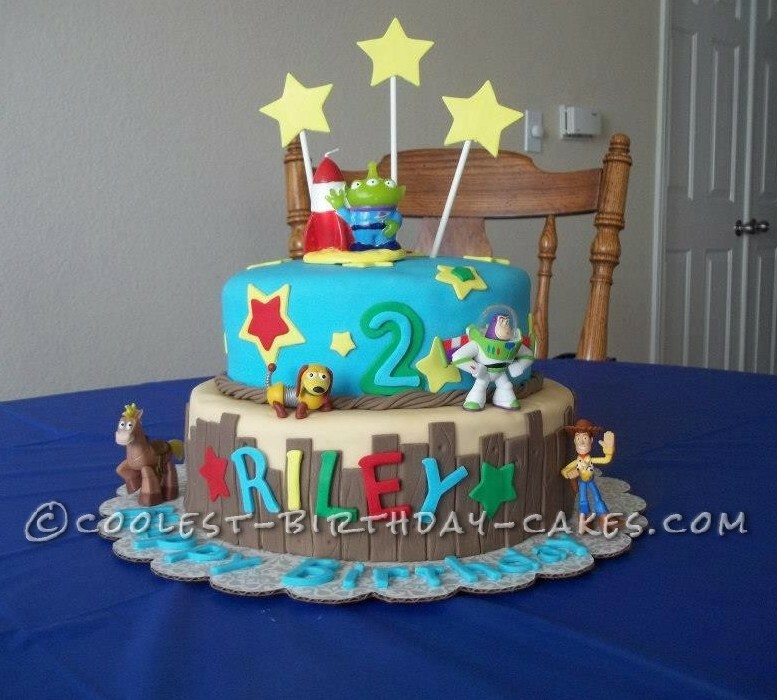 I had a friend with a very special kiddo that was getting ready to turn two and his favorite movie EVER is Toy Story!! 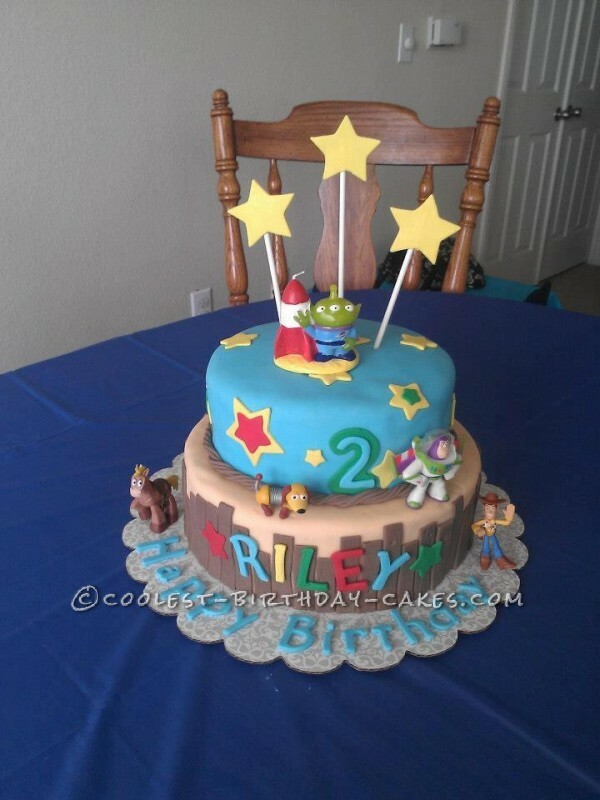 We decided a cake that had the Toy Story character’s on it would make him a very happy little guy, so that is just what I made! It took me two days to get it all together and make things look just right! The top layer was chocolate and the bottom was vanilla and of course homemade butter cream and fondant! His Mom decided to surprise him and have him come with her to pick up the cake, when he walked in he was super surprised and had a huge smile on his face! The best part of making a cake is when someone tells you they love it so much that they do not want to cut into it! 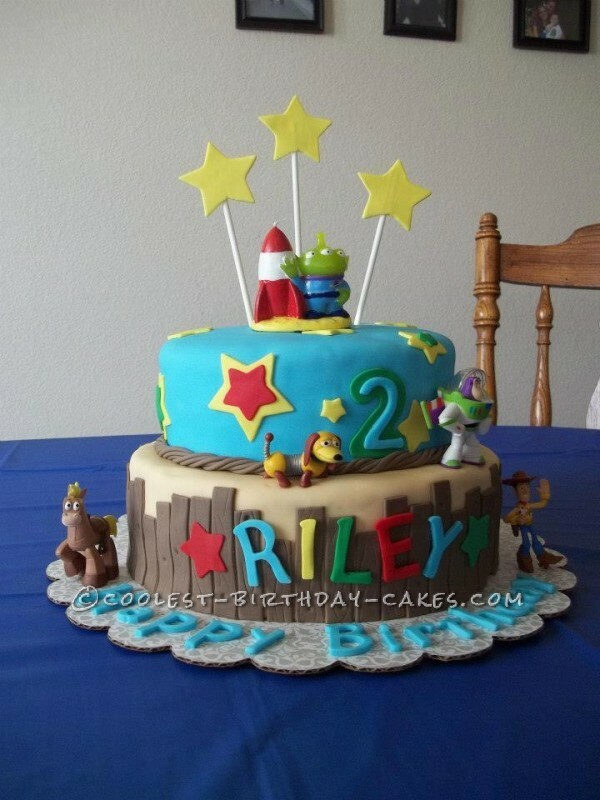 His Mom said it was the best cake he has ever had, he is only two so I did not have a lot of competition, but that is OK, I will take the compliment!! 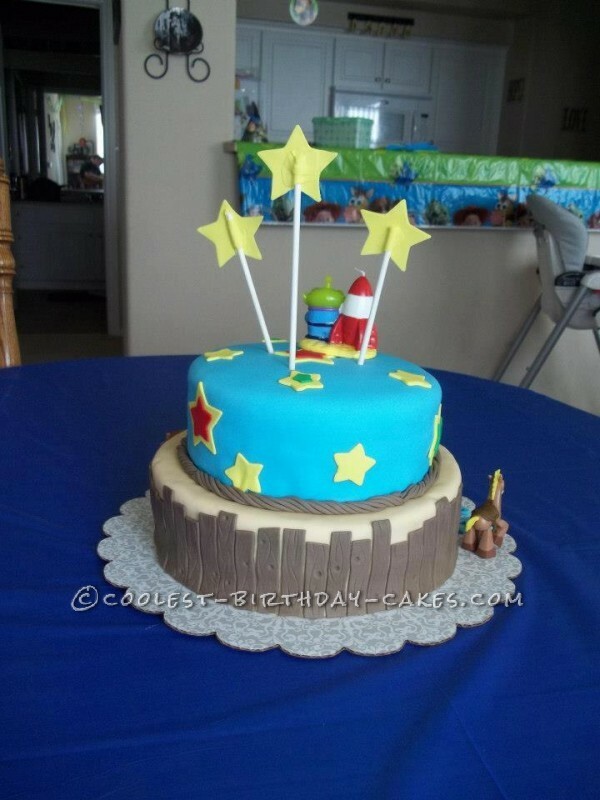 Birthday cake idea Posted by Heather C.